I don't know what it is, but when it comes to the two man project Deafest I've always enjoyed the songs they release on splits more than the full length material. That's not to say their full lengths should be passed over, I just don't get the same level of enjoyment from them that I do from their numerous excursions with other underground acts. Deafest are perpetually overlooked it seems. Originally a one man project with vocals, they're now a largely instrumental black metal act with atmospheric tendencies and a major focus on nature. This record is a collection of their side of the various splits they released with Livimørket, Mirovia, Cynd, Severnaya, and Dunkelheit from 2008 to 2009 and it's still some of my favorite material from them; before they dropped the vocals I might add. 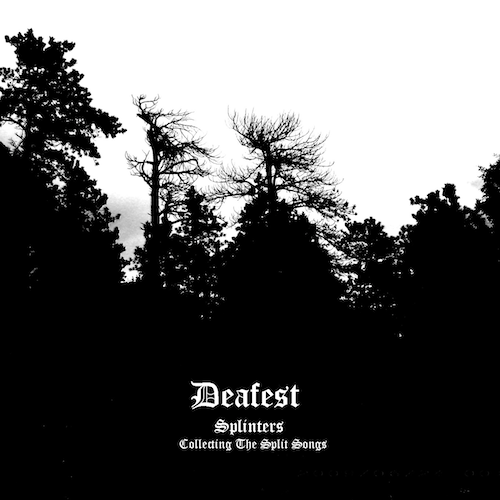 Deafest's style of black metal certainly could be called atmospheric but completely unlike the style of more well known bands who have brought it to the forefront (WITTR et al). The atmosphere is there but the long songs and the ambient passages are dropped for a more traditional and strong tremolo-based structure with only a few instances where the riffs drop to clean chords. Vocals here (performed by Chase, the main member) are a high, indecipherable screech comparable to the depressive black metal style — pained as they extoll natures grace, persistence and resilience, or scold the encroachment of mankind. Drumming duties are presently handled by Brett but every track here (except for the ones from the Livimørket split) was recorded before he joined, so on splinters we're hearing largely drum machine which does the job just fine honestly. Majestic and tragic, mournful and raw: this is how I would describe the atmosphere they conjure. You can almost smell the fresh air from a recent downpour when listening to their material. Not only do they nail this aspect but the riffs are both tight and catchy, strung along at a perfect pace (most tracks lay between 5 and 6 minutes) with peaks and valleys that resemble the very subjects the music is meant to embody. Deafest are not about being fancy — over use of reverb or other effects are not needed here, nor is sampling and keyboard interludes. They lay out a very simple formula and stick to it, but do so with a great amount of passion and effort. I have to say my favorite tracks here are taken from their split with Mirovia: Migrating Elk, Dynamic Sky and Without Rain. The final passages from each of these tracks exemplifies why I love Deafest so much as the climax is beautiful but so simple, evoking the glory of untouched nature and the ruin wrought by man. The 3 tracks which follow this are from their split with Cynd and have a similar effect, carefully arranged and executed to draw forth a soulful melodic string of coarse riffs. When the tracks aren't climbing and shimmering they take a darker turn as if into the shades of towering forests. Sometimes they open quietly with delicacy as on Winding Water, slowly opening up and exploding with melancholy, while on other songs like Coniferous they burst immediately, mowing you down with a forceful riff from the start. It's always a pleasing voyage though. I really recommend this album. As a whole Deafest offer a refreshing albeit simple take on the "cascadian" genre and on Splinters we find some of their best material in my opinion. The songs from the bands they collaborated with on these splits are definitely worth checking out as well. They put up all their material for free on bandcamp and their official site except splits; they used to but for what ever reason stopped. You can get most of their releases in tape and cd form from Ninth Meridian Records, their bandcamp has a pay what you want for a digital copy of this recordl. 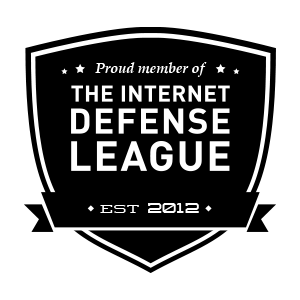 My god, whay a great great blog! keep up with this amazing work! thanks! This is Chase from Deafest. Thanks for the great review! Do not send money to black sign. They never printed the splinters CD. All the splits will be up on bandcamp in the next few weeks. Hey man! You're welcome. Thanks for the info, I updated the post and will do so again once they're up on bandcamp. Splinters (meaning all those splits), the Starless Night split, and the Rehearsal Tapes are all up on bandcamp now.